VEQAR UL ISLAM – DIRECTOR & CEO – Jaffer Business Systems Having worked for over 27 years in world-renowned multinationals in Pakistan and the region, Veqar has joined Jaffer Group as a Director and is heading Jaffer Business Systems and is involved in Group affairs on the Board. Veqar is an astute businessman, a high achiever and a marketer par excellence. He is also an inspirational leader, who has led his teams successfully and grown the businesses he was involved in. He is also known for his out of box approaches. Veqar has a Masters in Commerce from University of Karachi and has attended professional trainings in various parts of the world. He has always been a Top Global Talent in every multinational he was associated with. 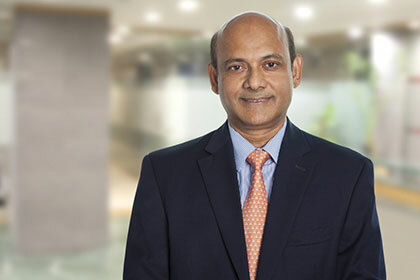 Prior to his association with Jaffer Group, Veqar has been with Comptel Corporation, Nokia Corporation, Nokia Siemens Networks and NCR Corporation at senior Executive positions in Pakistan and abroad. 26-D, Block B, 2nd Floor, Kashmir Plaza, Jinnah Avenue, Islamabad 44000, Pakistan.